Valla Voices began as a small group of friends singing for their local Christmas Carols event in 2015 in the beautiful Mid North Coast south of Coffs Harbour. It was such a success that they began to rehearse weekly in our lounge room amongst the rainforest and macadamias in Valla Rural, sharing food and weekly happenings with a focus on singing fine choral repertoire from around the world. They’ve grown to 30 members and have performed locally alongside Birralee Voices at the Bellingen Fine Music festival, the Coffs Harbour Eisteddfod, annually at Valla Carols and local hospitals, festivals and markets. In 2017 Valla Voices travelled to Brisbane to take part in the Australian National Choral Association festival and this year they’re delighted to tour for the second time as part of the Gondwana World Choral Festival. Taking these wonderfully talented local children from a rural area to broader horizons is their passion, and we are currently planning a tour of Europe in 2021, performing in Germany, Luxembourg, France, Italy and Austria. Valla Voices is co-directed and conducted by composers Paul Jarman and Bonnie Nilsson and in 2018 they were delighted to welcome music specialist Pru Borgert to the team. Paul Jarman is a widely acclaimed Australian composer, performer, musical director, conductor and educator. His music has inspired singers and audiences around the world. As a cultural ambassador he has performed extensively throughout Australia, Europe, Asia, North America and the Pacific in over 40 countries with theatre productions, dance ensembles, Aboriginal-Anglo Celtic performance groups, choirs and orchestras; in festivals, special events, schools and towns as a conductor and musical director, and a member of Australia’s first ‘world music’ ensemble Sirocco since 1996 representing Australia in Pakistan, India, Taiwan, Nepal, Sri Lanka, Malaysia, Laos, Vietnam, Singapore and the Philippines for the Department of Foreign Affairs and Musica Viva. He has also performed on many Australian feature films and television series and composed the music to adventure documentaries by renowned cinematographer Mike Dillon. 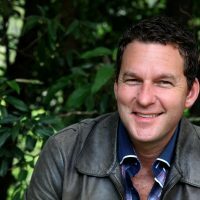 Paul specialises in writing about inspiring people and events including Jessica Watson, Terry Fox, Helen Keller, Ernest Shackleton, Aung San Suu Kyi, Malala Yousafzai, Frank Hurley, Pemulwuy and Mary MacKillop among many others. In 2010 his piece for the 40th Anniversary of the death of Martin Luther King Jnr was performed for President Barack Obama in the White House. Paul has also written and performed music for events in the Western Front, including the D-Day 60th Anniversary in Normandy and a new piece for the Centenary of the Battle of Fromelles 2016. Paul was the only composer in the Southern Hemisphere to be asked by Oxford University Press to be part of a selected group of 7 composers commissioned to write a piece for the 400th Anniversary of the death of William Shakespeare in 2016. In 2016, Paul completed 20 commissioned works. He has toured with choirs to France, England, Germany, Austria, Italy, China, Belgium, Czech Republic, Canada, New Zealand, USA and Switzerland and he conducts choral events all over Australia. Paul has composed the music for some of Australia’s special events including the Centenary of Federations, the Bicentenary of the Battle of Vinegar Hill, Year of the Outback, The Olympic Arts Festival, The Rugby World Cup Opening Ceremony, United Nations Year of the Mountain, The Queensland 150th and the Australia Day Spectacular. To date Paul has written over 150 commissioned choral works and has contributed another 100 school and town anthems. Bonnie is a Registered Music Therapist, composer and singer/songwriter. After graduating in 2002 with a Masters from the University of Western Sydney Nordoff Robbins Music Therapy Centre, Bonnie worked in Paediatric Oncology at the Children’s Hospital Westmead as head of department, pioneering programs with the Sydney Symphony Orchestra, Musica Viva and professional musicians including Guy Sebastian, Shannon Noll, Tim Freedman, Jenny Morris, Mark Lizotte and Jimmy Barnes. Bonnie has had a varied music career, studying classical piano at WAAPA, playing trumpet with the Australian Youth Orchestra and performing as a singer/songwriter with Luke Steele who went on to form Empire of the Sun. Bonnie lives in the Coffs Coast where she conducts choirs, teaches classical piano, runs workshops and private music therapy sessions. She has been collaborating with her partner, composer Paul Jarman since 2014, and in that time they have penned 17 new choral works together.